When people first arrive they are greeted by members and ushered to a pew and given a service booklet to enable them to join in the worship. Communion is offered to all baptized Christians, as part of our commitment to radical hospitality. We ask visitors to sign the notebook in the vestibule. The information is gathered and the newcomers committee will send greetings to visitors and forward information to the clergy as needed. First-time visitors are encouraged to speak with the vicar or any senior member about this mission church and the community. A more traditionally formal ceremony to join the Episcopal Church occurs at a service of Confirmation and Reception held at various regions throughout the State of Hawaiʻi, including the historic Cathedral of St. Andrew’s in Honolulu. This is for people who want to embrace membership sacramentally in the historic laying on of hands by the Bishop. Confirmation, whether for youth or adults, is a sacrament of initiation in which we confirm the vows made for us at Baptism by our Godparents. People who have been Confirmed in another denomination are received into the Episcopal Church in a way that recognizes and values the original confirmation but welcomes the person into this branch of the Christian faith. At St. John's, we occasionally incorporate a brief service of welcome for new members during our Sunday worship. 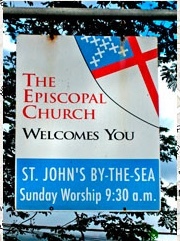 After persons, in consultation with a clergy member, have decided that they feel called and ready to be a member of St. John's, they will be invited to participate in this ceremony of welcome.